(3)Direction For Use :- 2 to 3 tab. morning empty stomach with 1 t.s.f.ghee + ½ t.s.f. honey / milk. ( Dose depends upon age, weight & illness of the individuals). OR as directed by physician. 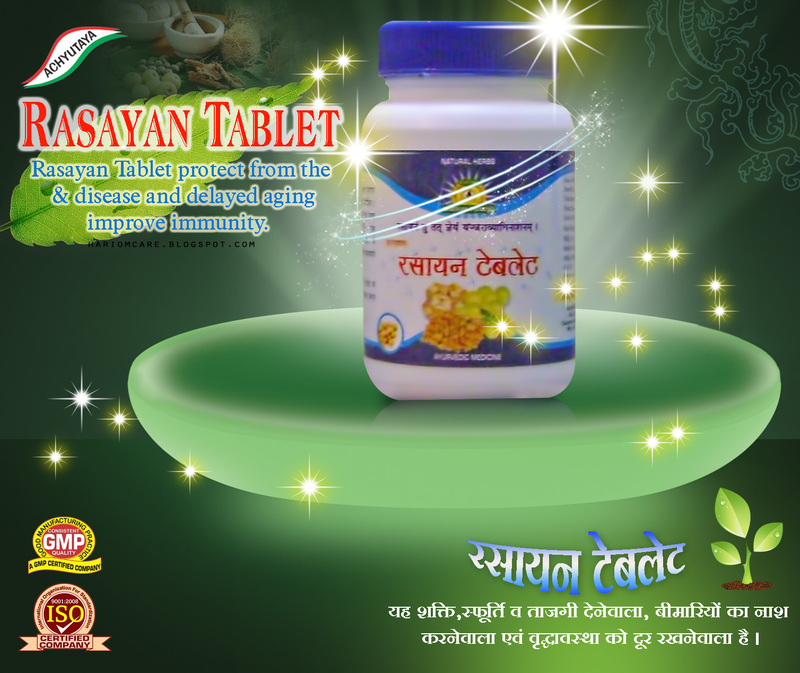 (4)Benefits :- Rasayan Tablet protect from the disease and delayed aging & improve immunity. (4)Prevents reccurence in chronic & recurrent UTI. (5)Main Ingredients :- Emblica officinalis(amla), Tinospora cordifolia(Giloy) etc.